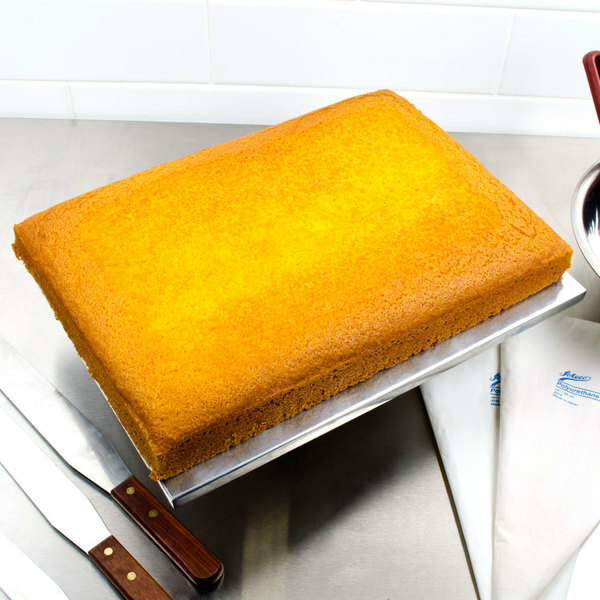 Make the perfect pound cake for your coffee shop, diner, or restaurant, and save time baking it from scratch with this 5 lb. pound cake mix! Providing all the ingredients you need, this mix makes baking easy, while still offering a homemade taste. Just add water, mix, and bake! An age-old recipe, pound cakes remain as popular as ever. Originally, they were prepared with a pound of each of four ingredients: flour, butter, eggs, and sugar. Though that's how this cake got its name, it's no longer common to weigh baking ingredients in pounds, and there are variations of the recipe today. However, the name pound cake is still used to describe dense, decadent treats enjoyed by many. This pound cake mix rises nicely for fluffy sheet cakes with soft, moist texture. Decorate your baked goods with powdered sugar, whip up a light fruit glaze, or coat with a layer of icing. Easily create a layered cake with your signature flavors and ingredients. Whichever way this versatile cake mix is prepared and served, you're sure to satisfy everyone's sweet tooth! Love the pound cake mix and it makes old fashioned style pound cakes perfectly. Great for glazing or flavoring with our lemon extract. A great mxi for our sweet shop. We found this cake to be very gummy and flavorless. We ended up add more vanilla to pump up the flavor. We needed this cake for carving so we ended up mixing it with another brand yellow cake mix to suit our needs. We will continue our search for something that will work for us. A terrific quality pound cake mix and we are thrilled with how the cake turns out. A great mix for making our berry fruit trifles. A very tasty, easy to make pound cake. Just add water and bake! Mine came out a little dry on the first try but I think I may have cooked it too long. A nice dense style cake that tastes great. The pound cake mix is quick and easy to prepare and is awesome. So delish and great for parties. Good pound cake mix used to be really hard to find. Now that we bought this stuff, everything changed. This is a new favorite of mine. I really like this pound cake mix how ever I don't use it for pound cake. I found that it works really good for muffins. A wonderfully moist pound cake... So versatile... Fine on it's own.. But you could use add-ins to customize it further. . This worked perfectly paired with D&W Fine Pack A79 1 lb. Foil Bread Loaf Pan - 50/Pack and D&W Fine Pack 4299 Clear Dome Lid for 1 lb. Foil Bread Loaf Pan - 50/Pack to bake a perfect pound cake loaf. I baked it 3/4 of the way on a preheated cookie sheet and then the rest on oven rack. Baked tall and super moist. For me, this was a winning combination. I believe I used 1/2 a pound mix per bread loaf pan. I think I filled about 2/3 the way full. The domed lid did the trick by finishing it off perfectly. All found here at Webstaurant! A very tasty and easy to make mix at a wonderful price. The pound cake mix is wonderful and great for bake sales and fundraisers. Thank you for your feedback! We are sorry you did not prefer this product, for recommendations please contact our Customer Solutions team! A great priced pound cake mix that is perfect for making our trifles. 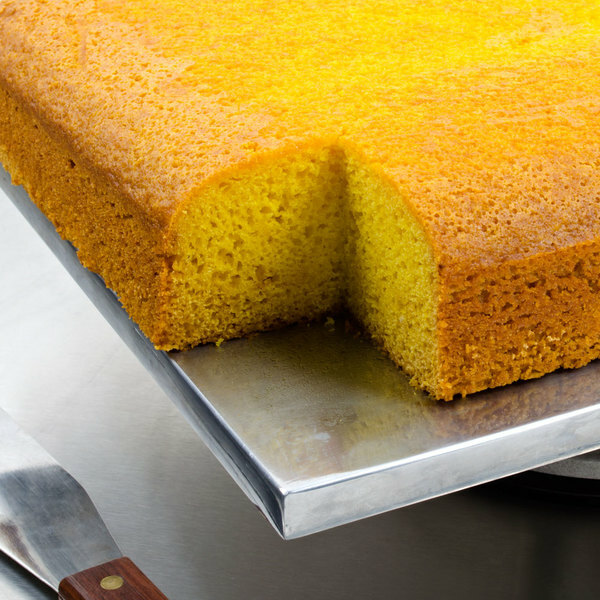 We use cubed pound cake to make our berry trifle so we bake the mix in long cookie sheets for the perfect size pieces. The cake bakes up firm and moist just like we wanted. I made cupcakes for my wedding with the Pound Cake Mix. They turned out perfectly! I love that it tastes good, I can use only what I need and that it mixes with just water. I am starting a new business and this will be one of my staple products. This seems too easy to be good but it isn't. These mixes are tasty and easy. It's good to keep some of this in the pantry. This cake mix seems as if it is a good jumping off mix. I believe that the instructions may need to be adjusted. When I cooked both a cake and cupcakes the top would look almost slightly under but the bottom was over done. On the almost burnt side. Next time I will be lowering my temperature and upping the amount of time in the oven. One can have a lot of cake for a little price. I have added the vanilla and maybe another cup of all purpose flour. Overall, the cake mix is not too sweet and tastes good. I am baking birthday cakes and cupcakes with this product. I recommend this product for its taste, price and amount. This wasn't as good as I hoped. Very disappointing and not that tasty. Maybe I will try another flavor and use my own twist next time. Thank you for your review! We're sorry to hear you were disappointed with this mix. Other customers have found this to be a great basic mix at an excellent value. The recipe can be enhanced with additional flavors and ingredients as needed. Start here and go anywhere. 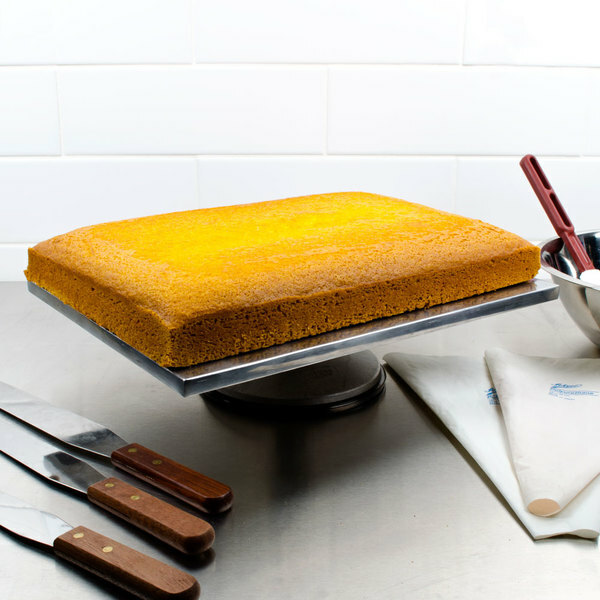 If you need to whip up some yellow cake, this is an obvious choice. However, we use this and add whatever we feel like to make some new flavor combinations. It's a solid starting point. Added cocoa and pumpkin puree to this and it tastes amazing. Good base for dense cakes as you can add a variety of flavor to make different cakes. You just need to watch the amount of liquid you are adding because it can get tricky. A nice firm cake that is perfect for stacking cakes. Doesn't crumble like other cakes and has a nice flavor. Tastes great with cocoa added to make chocolate pound cake too. A great pound cake mix. I use this most often as a base for cheesecakes. Around here everyone likes the pound cake bases over the graham cracker crust and this works perfectly.